The myth that the holiday season is a bad time for recruitment is about as persistent and long-lived as the legend of jolly old St. Nick. As the traditional year-end festivities swing into high gear, many HR personnel and hiring managers practically close up shop, assuming that candidates will be too distracted by the holidays to pay much mind to their job searches. It’s certainly true that the holiday season is a busy time of year for applicants and hiring managers alike. 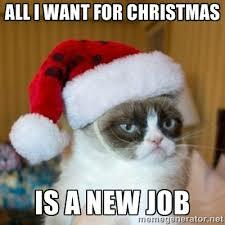 But that doesn’t mean that you should put your recruitment efforts on hold as soon as the holidays roll around. In fact, many of the same arguments that are used to make the case against holiday hiring can actually be turned around to your advantage if you play your cards right. Here are just a few reasons why you should consider devoting more time and resources to your recruitment efforts during the holiday season. Make the most of your annual hiring budget. The holidays offer a cornucopia of natural networking opportunities. With all the holiday parties, luncheons, potlucks, and other shindigs that you’re likely to attend between Thanksgiving and the New Year, you have a wealth of opportunities to connect with potential hires. Make the most of the festive mood and frequent get-togethers during this time of year by chatting up your industry contacts whenever the opportunity presents itself. Many candidates have more schedule flexibility at this time of year. The holidays are often busy for hospitality industry employees, but with scheduled days off and more leeway than usual for last-minute absences, it’s often easier for candidates to find the time to come in for an interview during the holiday season. You’ll be able to increase your chances of landing top talent even more if you allow candidates to schedule interviews and meet-and-greets during off hours. You’re more likely to get the cream of the crop. Think of it this way — the candidates who put in the time and effort to sustain a job hunt during the busy holiday season have already gone a long way toward demonstrating a superior level of diligence and dedication. You’ll have an added measure of assurance that the applicants you screen this month really have their heart set on succeeding in a new position. Capitalize on candidates’ New Year’s resolutions. Many employees like the idea of kicking off a new year with a great new job. If you maintain a steady pace of screening and interviewing candidates in the weeks leading up to the holidays, you can have the ink drying on the new employee paperwork by the time January 1st rolls around. You’ll fill the gaps in your staff — and you’ll give your new hires a great shot at a fresh start in the new year. The holiday season may not seem like a great time for hiring, but if you look beyond the hustle and bustle and hullabaloo of this time of year, you’ll find many opportunities to connect with well-qualified candidates. With just a bit of ingenuity and out-of-the-box thinking, you can make the most of the unique recruitment advantages that this time of year offers. This entry was posted in Recruitment Strategy, Tips on December 18, 2014 by ZFR. Sometimes your best candidates are already employed. Persuading them to make a career move can be tough, but it’s not impossible. Passive candidates are highly qualified individuals who aren’t actively looking for a new job, but might consider a change for the right opportunity. Recruiting them takes finesse, as their motivation differs from that of active job seekers. With passive candidates, you have to polish your power of persuasion as well as your sales skills since they may not be very familiar with your company. Here are some tips to help you build relationships with passive candidates and convince them to consider a new career with your company. Make them want to work for you. More so than with active candidates, passive candidates want to know, “What’s in it for me?” A well-developed employer brand can answer this and may provide the push passive candidates need to consider making a change. An employer brand refers to the reputation and image your company has in the marketplace. It’s typically what attracts – or repels – potential job candidates. Your brand’s message should speak to your company’s values and culture. For example, if your company puts a lot of value on innovation, your brand needs to reflect that. Highlight ways in which you foster this innovation. How do you promote creativity in the workplace? What kind of recognition or rewards do your thought-leaders receive? What does management do to gather employees’ input? If you want to earn buy-in from passive candidates, you need to show them that your company is their ideal workplace. A dynamic employment brand can help persuade them to take the leap. Give them what they’re not getting from their current employer. It’s human nature to want what you can’t have. Sometimes the most effective way to win over passive candidates is to play off the weaknesses of their current employer. Study the company he or she is working for, including the culture, work environment, salary, benefits and growth opportunities, says Rivas. Find out where that company falls short. 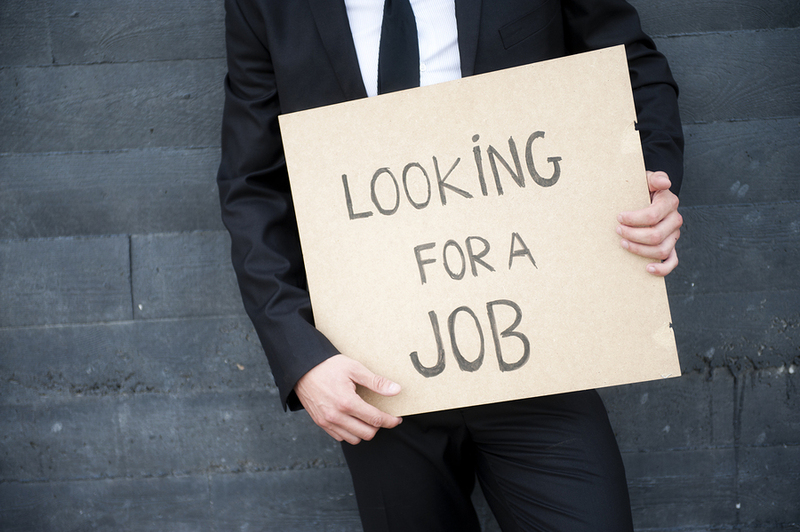 When you talk to the candidate, you can emphasize how your company can fill in these gaps. Write emails that get to the point. It’s easy to fire off an email to potential candidates. The tough part is getting them to read it. Lengthy or convoluted messages will likely end up in the trash. To get candidates to read your emails, keep it short and simple. With a constant flood of emails pouring in every day, passive candidates are more likely to read messages they can quickly skim versus something that looks like a short novel. When writing emails to candidates, your subject line should be no longer than 35 characters and the body of the email should be no more than four to six sentences. It may take some time to fashion a strong and concise message. But when you find something that works, save it and reuse it when contacting other candidates. When you first call a passive candidate, the worst thing you can do is start rattling off a job description. If you come on too strong, you’re probably going to get the cold shoulder. While you want to be honest and forthcoming about why you’re calling, don’t just jump into your pitch. Start by mentioning something you know about them, such as something unique about their professional background or even a hobby they listed on their online profile. This shows the candidate that you’ve done your research and they’re not just another name you drew out of a hat. Take some time to get to know the candidate before you delve into the details of the job. Let the candidate do most of the talking. You’ll likely discover what motivates them, what they like about their job, as well as what they dislike. You can use this information to guide your conversation and explain why your company is a good fit. When a candidate shows interest in a position, you’ll need to act quickly since they may not necessarily need the job. This may entail working around their schedule. If they reach out to you, be prepared to take action right away before they lose interest or second-guess their decision. Don’t wait for candidates to set up a meeting. Take the initiative; try to get on their calendar within days of your phone call. If the candidate seems to be a good fit, keep the process moving. Make arrangements for follow-up interviews and assessments as soon as possible. Regardless of how great a candidate seems to be, follow your normal screening and hiring process, including performing a background check. Skipping these steps could put your business at risk. If they say no, keep the door open. Don’t throw in the towel when candidates say they’re not interested. They may just need a little more coaxing. Start by asking them why they are not interested. It may just be that there is a misunderstanding or that they have some questions. With a little more conversation, you may be able to ease their concerns. But be careful not to be too pushy. This will only make candidates more resistant. If all else fails, at least give candidates your contact information and ask them to connect with you on a social media site, such as Twitter or LinkedIn. If they agree to connect with you, foster this relationship and stay at the forefront of their mind by maintaining an active social media presence. When there’s an opportunity, participate in online conversations with them. Be patient. They may just need some time to mull it over. If nothing else, in time, he or she may lead you to another individual who is equally qualified. This entry was posted in Passive Recruiting, Recruitment Strategy on December 10, 2014 by ZFR. The race for talent is on! It’s not an employer market anymore. Employers are now at the mercy of their employees – meaning, employees have a substantial role in the hiring/recruiting process, and they know it. The employer usually has to do more schmoozing to win over the candidate than vice versa. Whether or not it was a competing offer that beat yours, there are a number of reasons why candidates decline job offers. Below are those that we see most often, and what you can do to get them to say yes! Maybe it was a competing offer that beat you out of the gate, or maybe it was that you wouldn’t move on your salary budget and the candidate couldn’t move down to your offer. High-quality talent costs money! Starting someone off at a low salary knowing you will eventually increase it by $5k is like building a foundation on mud. Make them an offer they can accept! Negotiations always bring in weird tensions and damage the employer-employee relationship. When colleagues are conducting a job search or interviewing, the interview is just as much about you interviewing the company and people as it is about them interviewing you. If you get a feeling that this isn’t the right place or fit for you, trust your gut. Gen Ys are more concerned about company culture than other generations. As the leader of the company, it’s your job to make sure that you provide an environment and culture that people want to work in. They’re working for YOU to help you build YOUR dreams. So take the time to reflect on what kind of a place people want to work in and then do what you can to make it so in your business! Sometimes after learning more about the job, candidates realize that maybe it’s not what they thought it was. It also could be that they’re just not confident they can succeed at the position — feeling it might be above their skills/expertise, or it’s a little below what they’re capable of. Don’t take this too hard. They actually did you a big favor by pulling out of the race before you found out they were a bad hire! The price of gas is soaring – and it seems like there is no end in sight. For this reason commuting has become an even bigger factor in a candidate’s decision-making. Talent tends to flock to the city — if you’re located outside a city, it’s not as desirable and can be less appealing to have to commute to the suburbs or move out there for the job. This is an increasingly important factor in candidates determining taking a job — especially for Gen Ys who really value work-life balance. What perks do you offer to support a healthy work-life balance? If the answer is “none”, think about offering things like telecommuting or flexible work schedules for starters. If you waited a long time to get in touch with candidates, or the whole process spread way longer than it should have, it’s super frustrating for them! It’s easy to contact them at your disposal because they’re at your mercy for your job, right? Wrong! If you take too long to hire them, they’ll lose momentum and interest in your company. Or they’ll take a job elsewhere. To expand on #6: We know that hiring for small businesses is no easy task. It’s a joint effort – often times you have to split up the work among the team members who don’t have HR in their job title. But keep in mind that candidates pay attention to your hiring process. If it was an exhausting process, or they felt it was unorganized or if candidates felt neglected until you wanted to talk to them they won’t feel valued. The recruiting/hiring process should get them PUMPED to want to work for you! And besides, if the company does a bad job hiring, what other things are they sucking at? That’s no good. Let’s face it; everyone puts their best face on in the interview, just like on a first date. I know several colleagues that literally quit their jobs without anything lined up because their bosses were that intolerable. If they get a not-so-good vibe from you or other people during the interview process, they’ll pick up on it. If they have equal options to choose from – in terms of role and compensation – and they had to wait a half an hour before you opened the door to them, or if you appeared distracted or disinterested, or if you were rude…you’ve just made their decision a lot easier. This entry was posted in Recruitment Strategy, What NOT To Do on December 3, 2014 by ZFR.